Beuno’s Hut is named after St Beuno, a 7th century Welsh miracle healer. You can read more about him here. 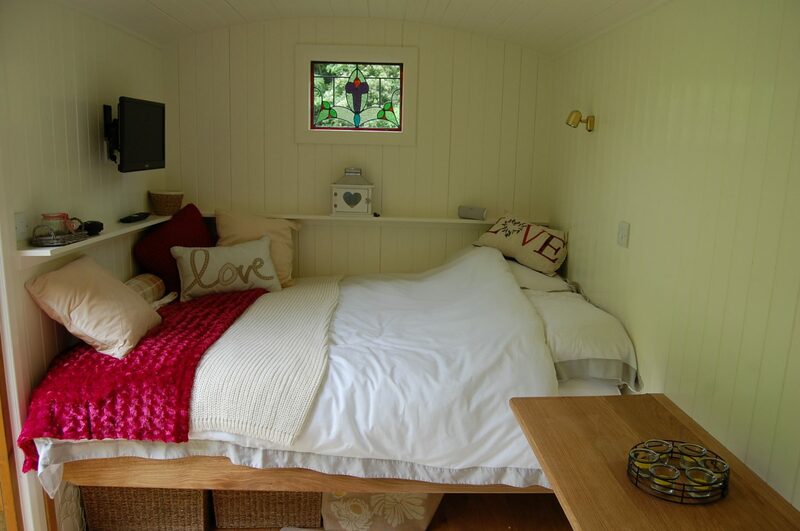 The en-suite hut sits high in its own field with views right across our land from the cherry orchard and kitchen gardens where all our vegetables are grown right across to the famous Ffynnon Beuno cave. From your own private decked area, you will be able to listen to the chatter of busy hedgerow sparrows, our tawny owls and maybe even spot a badger or two from the sett on the mountain opposite. Depending on who is grazing nearby, you can say hello to our pony Brad, our two dairy sheep Pearl and Queenie or our alpacas who are very nosy! At night, the dark skies give you the perfect star gazing experience and we even provide a bat detector so you can listen in to our rare lesser horse show bats chattering away high above you. Beuno’s hut really is the perfect off-grid hideaway. With its DVD player, Bluetooth speaker and log burner to keep you cosy, gorgeous bedding and fluffy towels to crockery and glasses we provide all you need so just pack a little bag and escape! 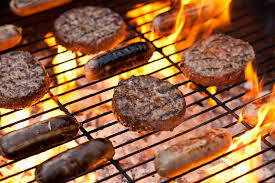 Why not make the most of your stay and order a BBQ pack whilst you are here? (You can select the BBQ hamper on the booking screen). We make the charcoal from our own hedgerow and woodland management program as well as grow all the salad – we even provide eggs laid by our own free range chickens and ducks (who may come up to say hello too!). Beuno’s Hut, is named after St. Beuno, (say bye no), who, in his lifetime was credited with raising seven people from the dead, including his niece, the virgin Winefride (Gwenffrewi), and his disciple and cousin, Aelhaiarn. Winefride has her own dedicated chapel at Holywell where Beuno’s stone from his original pulpit, can still be found at the side of the well. The Holywell chapel is well worth a visit and there is a interpretation centre which covers the story of Winefride’s life, death and resurrection at the hands of her uncle. Relax in our wildflower meadow, surrounded by wildlife in your own orchard and unplug from the stress of modern living. Cool your beer or wine in our babbling stream and at night, gaze out at our dark skies in the tranquillity of our beautiful valley. Sadly we cannot accommodate dogs due to the livestock. Do remember, the hut is in a field and you do need to bring boots and waterproofs.